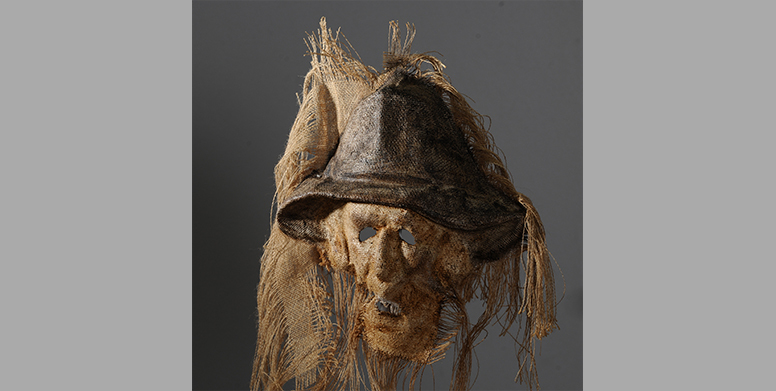 Fabienne Blas discovered masks in 1981 at the “Carré Sylvia Monfort” in Paris with Donato Sartori’s students and quickly became passionate about Dell’Arte commedia masks, alongside mime, theatre and dance classes. 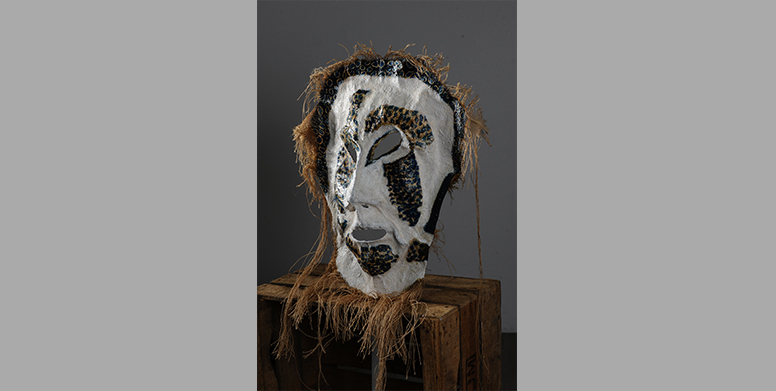 Graduated in 1983 from the “Carré Sylvia Monfort”, she joined various theatre companies the following year and created masks for the performing arts. In 1992, while continuing to create for the theatre, Fabienne decided to explore other “masked” horizons! So many discoveries, so many riches! In particular the carnivals of Europe and even more the tradition of masks from the Eastern countries (Slovenia, Hungary, Moldova…). 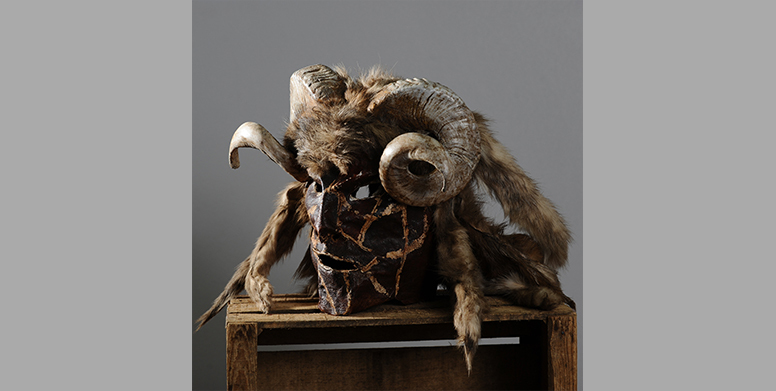 “It is an exciting research, here, a shepherd village, the masks are made of wool, there, in bark since wild men come out of the forest to hunt in winter, there again in feathers representing migratory birds that denounce the rural exodus, elsewhere in yarn and lace made by the women to welcome spring. All these signs must be interpreted and make the materials used obvious ». 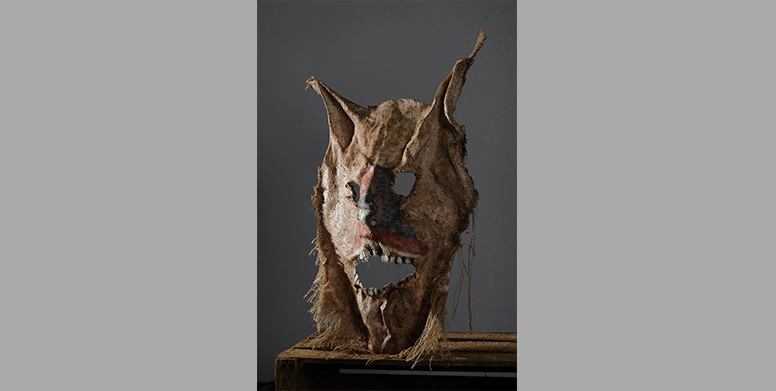 From then on, her expression found other gestures and materials ( leather, straw, canvas, wood…) that responded to the wonderful traditions still very present in Europe but also to her desires for creation and her roots in the North. 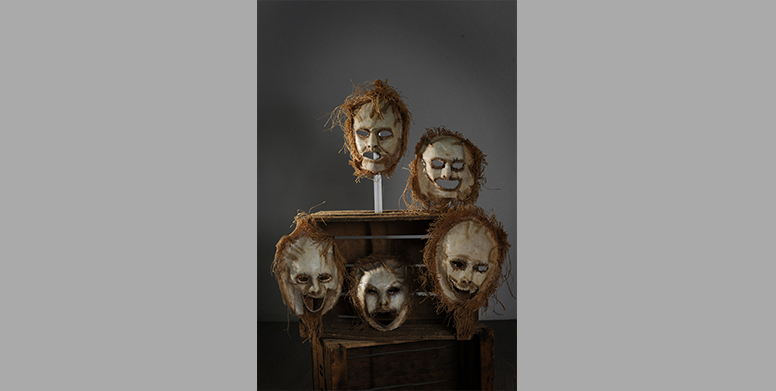 The Gallery French Arts Factory will present Fabienne Blas’ work in its Germanopratin space as part of its exhibition “Masques…” from 23 January to 2 March 2019.